IN HAND NOW. ID Toys are now in their 14th year of trading. We buy toy collections too! About In Demand Toys. In hand now! ID Toys are now in their 14th year of trading. About In Demand Toys. 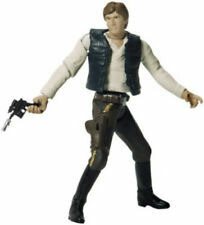 Star Wars Vintage Collection Han solo (Stormtrooper) VC143. Condition is New. Slight crease in the bottom right side of the card as you look at it. Dispatched with Royal Mail 2nd Class. Will be bubble wrapped and boxed. NO JIFFY BAGS!!! Star Wars 03. Like new condition throughout. IN HAND NOW. ID Toys are now in their 14th year of trading. About In Demand Toys. vintage star wars han solo Complete With Blaster Big Head. 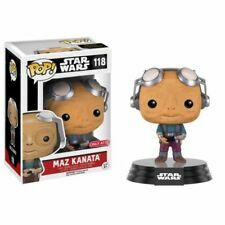 Hi this is an auction for a vintage Star Wars Han Solo big head Complete With a Blaster float tested. Translucent Dated 1977 no COO nice stiff limbs and great paint. Still got the red lines on the trousers loverly example of a 40 year old figure. No returns. Any questions pls ask though I’m not an expert PayPal only Uk bidders. Please don’t bid if you are unsure. What you see is what you get. Dated 1977 no COO. What you see is what you get. Star Wars The Black Series TFA Han Solo 6” Loose Figure Hasbro. Condition is Used. Dispatched with Royal Mail 2nd Class. ID Toys are now in their 14th year of trading. About In Demand Toys. VINTAGE 1984 POTF LAST 17 STAR WARS HAN CARBONITE FIGURE UNFORTUNATELY I BROKE THE CARBONITE BLOCK WHEN I WAS YOUNG FIGURE IS IN PRETTY GOOD SHAPE THOUGH. 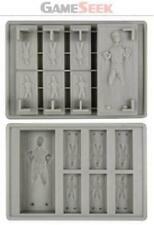 1996 Kenner Power Of The Force Han Solo In Carbonite Star Wars . Condition is Used. Dispatched with Royal Mail 2nd Class. Wear Force Link 2.0 gear (available in Starter Set. ). Vintage Star Wars Figures - Darth Vader, Han Solo, Stormtrooper etc Condition is Used. Dispatched with Royal Mail Signed For® 2nd Class. Please see pictures for condition, any questions please ask mostly 1980s figures, have tried to picture years. Thanks! From the 90's Kenner Collectible. Vintage Star Wars Han Solo Bespin Figure 1980. Ending 26 Apr at 4:11PM BST6d 4hType: Action FigureBrand: KennerSize: 12"
The item shown is the item for sale. For example. Star Wars Vintage Collection Han Solo In Trench Coat New and stuck to its original card. Protective box has been added Has been taken care of by a collector Check out my other items for more TOYS and GAMES also! 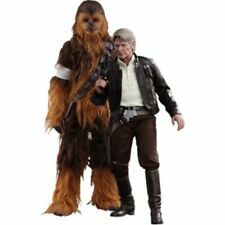 Star wars Han Solo In Trench Coat The Saga Collection VC New. Condition is New. Dispatched with Royal Mail 2nd Class. PREORDER DUE APRIL 2019. Preorder Policy. Star Wars Vintage Collection Han Solo (Stormtrooper) figure VC143 Carded New! 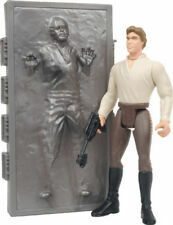 I am selling a used Last 17 Han Solo complete with original carbonite block and stand. Some discolouration to Han's torso and small rubs as pictured. In good overall condition, especially considering the price. Any questions please ask! Han Solo Bespin In Very Good Condition With Tight Limbs.